The Challenger 604 vs Airbus 380 story has gone once around the world. But is it even true? Some have asked. Let’s do a reality check. After our initial story was published in last weeks International Operations Bulletin, which we first monitored thanks to the great work of the Aviation Herald, it was republished in various versions in The Times of London, Flying magazine, AIN Business Aviation News, Deutsche Welle, and NBC. The picture on the Flight Service Bureau facebook page was viewed 1.1 million times. The incident happened. This has already been confirmed by the German BFU, who have responsibility for investigating accidents. The Canadian TSB have assigned an accredited representative to the investigation, and Bombardier have assigned a technical advisor. So to the cause. The crew reported that 1-2 minutes before the loss of control, at about 0840 UTC, an Airbus A380-800 had passed overhead, slightly to the left. The Aviation Herald’s reporting is of the highest standard, and we trust their source. Like the Aviation Herald, we also deal in facts. Joining the dots to form the bigger picture doesn’t require Colombo on the job. The incident happened on January 7th, since which time the German BFU have been aware of the case. Since the authority, manufacturer, and operator are all aware of the story, it is reasonable to deduce that were a material part of the widely reported incident not true, then that would have been stated rather quickly. The ultimate confirmation will come from the Germany BFU, hopefully on this Interim Reports page. On Sunday, we reported the similarity between this A380 story, and the 10 years it took to determine that the Boeing 757 had a wake 1.5 times stronger than other similar aircraft. Nearly a year after being alerted to the problem, the Federal Aviation Administration has ordered air-traffic controllers to warn aircraft flying behind Boeing 757 jets of the potential for dangerous wake turbulence. 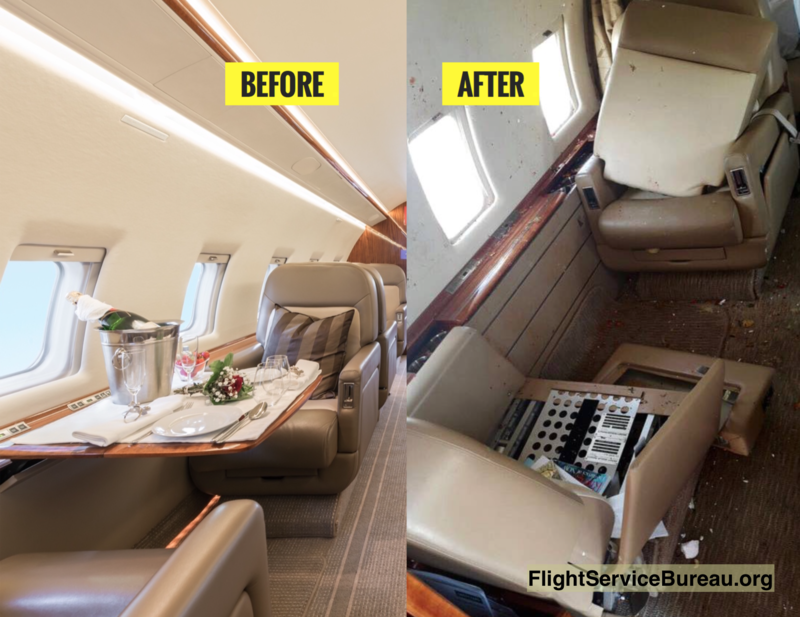 In the last year, two crashes that together killed 13 people have been attributed to turbulence caused by Boeing 757's. In the more recent crash, on Dec. 15, five people were killed when their private jet went down in Orange County during a landing approach"
The entire topic of wake turbulence is not fully understood by any of us. There is much more to learn. Truly innovative studies were last done back in the 1970’s. Some experienced crews have even questioned whether enroute wake turbulence even exists. Flight school drills into us as pilots, that wake lives around the airport. “Heavy, clean and slow” are the dangerous ones. But “slow” means about about 150 knots for aircraft like the 380. In the cruise, that goes up to about 250 knots IAS at the higher altitudes. If 150 knots is slow, then 250 knots isn’t really “fast”. Before the crash of a Delta Tristar at DFW in 1985, we didn’t know much about windshear and microbursts. Maybe we have to learn the same lesson with enroute wake. 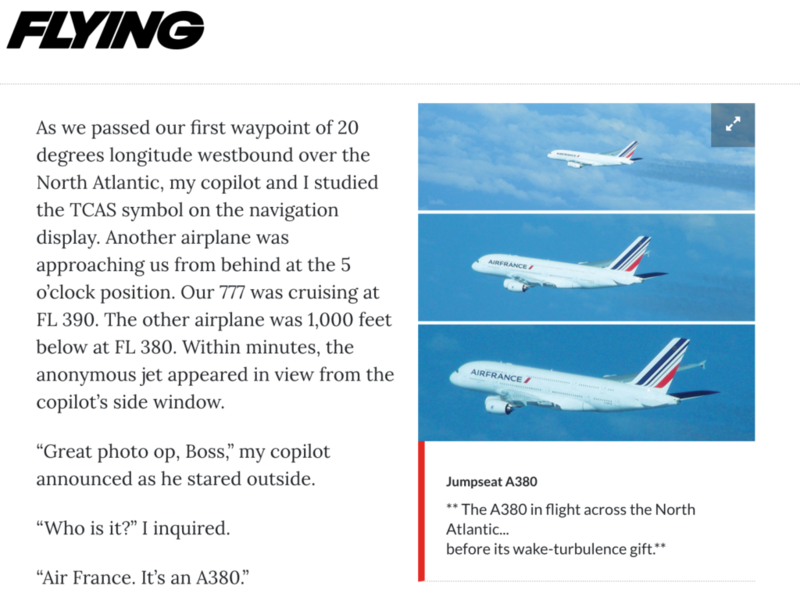 In Flying magazine, Les Abend has a very readable example of enroute wake in this article. While the industry awaits further guidance from the authorities, Flight Service Bureau has made public its Note to Members #24 (normally restricted to OpsGroup circulation). Revised 22MAR2017. We might be wrong! Like we said above, there is much still to learn about enroute wake. Read the note, but make up your own mind. Consider the wind. The danger point is roughly 15-20nm after the crossing point, as this is when the wake will have drifted down 1000 feet. In stronger winds, the wake may have drifted well away from the centreline. A turn away may not be necessary. SLOP where possible. It may not prevent all situations, especially crossing traffic, but if you’re 2nm right of track you’re a lot less likely to be directly underneath another aircraft. Read the note for the full guidance, and tell us if you have any further thoughts. Declan is a Flight Service Specialist with Flight Service Bureau.